Very popular in the thirties, the Morris Minor appeared in competition with the Austin Seven and other small cars of the period. 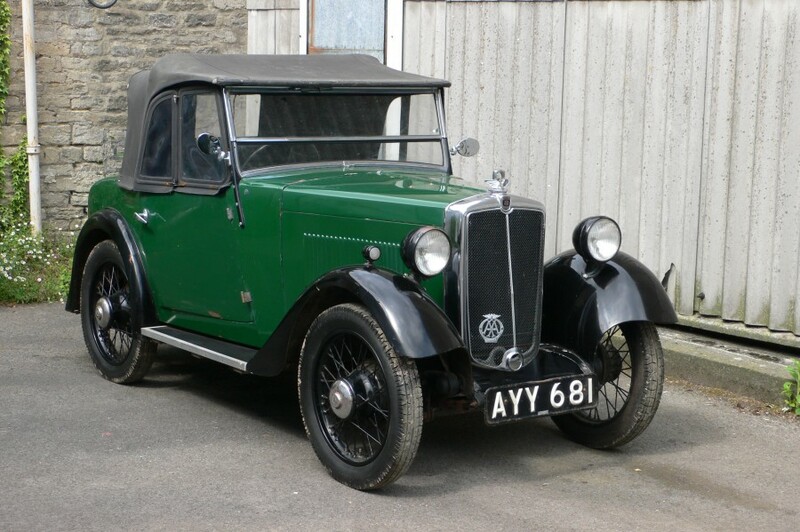 The 885cc side valve engine proved reliable and the little two seat tourer offers open top motoring at modest cost, whilst taking up little space in the garage. For the enthusiast and restorer, The Morris Register is very supportive with spares and advice. On offer here is on the face of it, a Barn Find, having been in dry storage for some nine years. The last MOT test certificate is dated March 2005, some 3000 miles ago. It would be easy to overlook this little Minor as her paintwork looks a little sad in places. 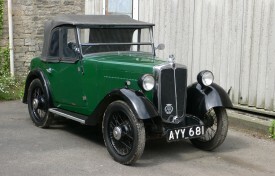 However an examination of the large file which accompanies the motor car, will reveal various invoices amounting to several thousand pounds and a very detailed worksheets of restoration carried out on the engine, brakes etc… The green upholstery has clearly been renewed and a new hood and side screens were fitted in 2005. The detail in the said worksheets suggest that re-commissioning of this little Morris could be relatively easy. Certainly the finished article will prove a positive delight and should be well received at Club events and shows. A V5C registration certificate accompanies the vehicle and the aforesaid huge file, which also contains images, parts data and much useful information.